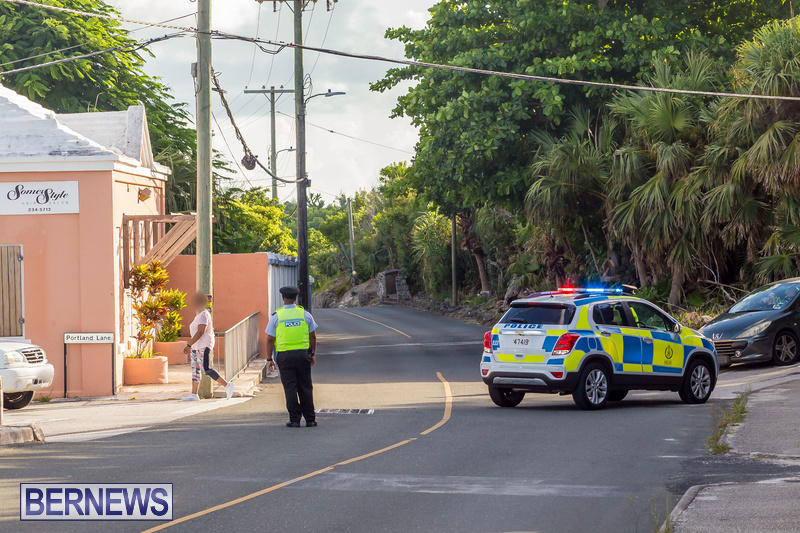 [Updated] Traffic delays are to be expected along Somerset Road near the junction with Bob’s Valley Road, Sandys as a result of a collision, the police said this morning [Aug 13]. 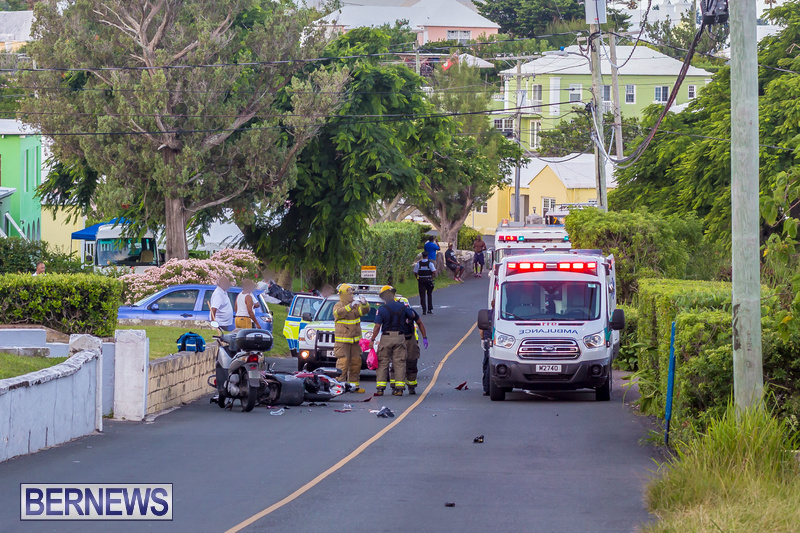 A police spokesperson said, “Traffic delays are to be expected along Somerset Road near the junction with Bob’s Valley Road, Sandys, as a result of a four vehicle collision. 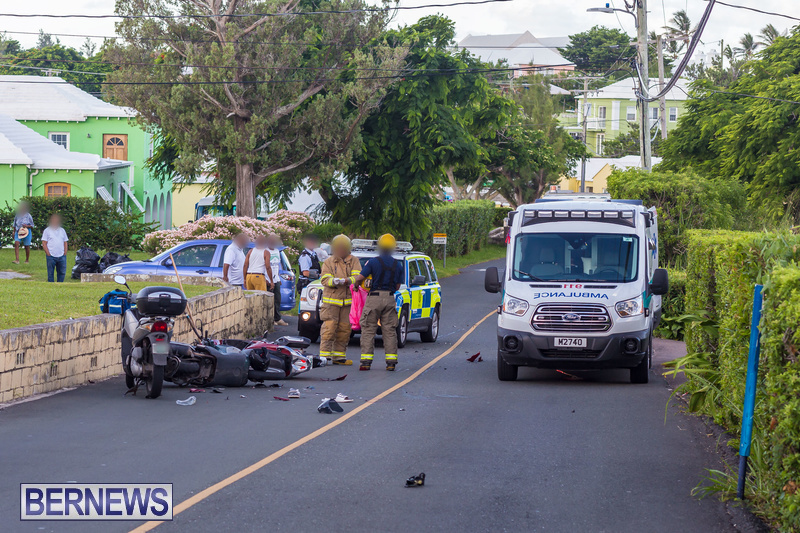 Update 12.40pm: A police spokesperson said, “Around 7:30am Monday 13th August, police and other first responders attended a four- vehicle collision which occurred on Somerset Road, Sandys in the area just west of the St James Church. 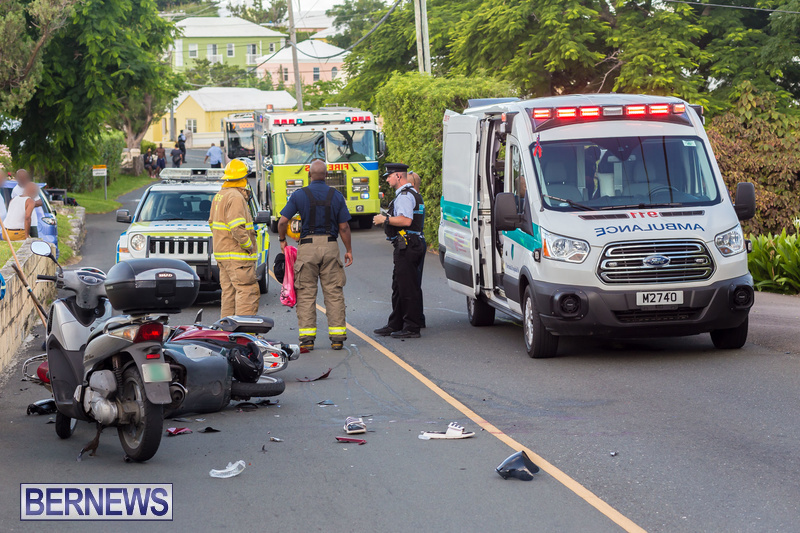 “Initial reports suggest a private motorcar in the west bound lane was attempting to negotiate a right hand turn onto Church Hill Place, when a man on a motorcycle also traveling west collided with the motorcar and two motorcycles that were halted in the east bound lane. 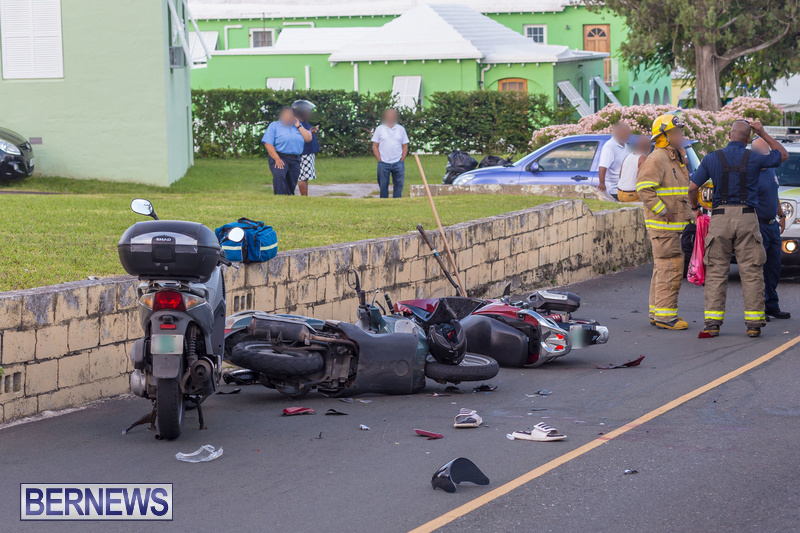 “The man was transported to KEMH for treatment of severe leg injuries. There were no reports of injury to the other parties involved. 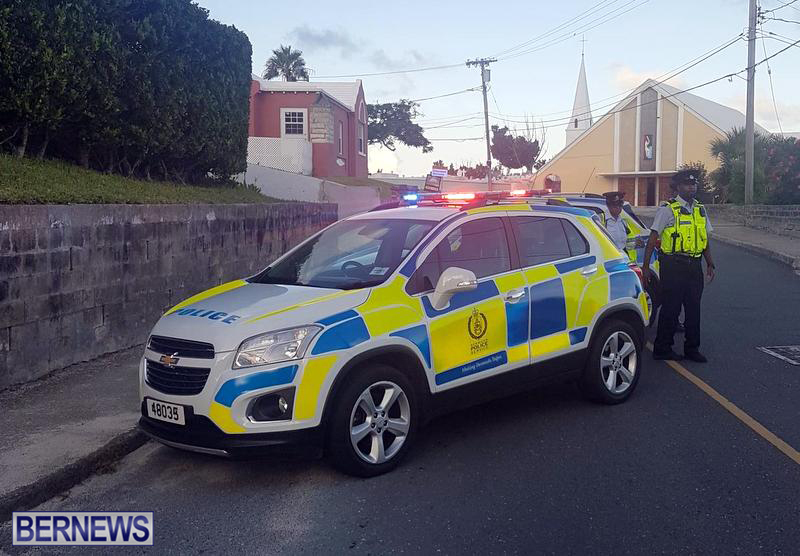 “As a result of this collision major traffic delays were caused in the west end, however the roads have reopened to regular traffic flow. No patience. Take your time!! and also the people trying to get to work. So glad this drive for change is working.